Should there be consequences for employees with frivolous claims? Employment standards legislation and common law precedents give employees a lot of protection. Many courts have made no bones about the fact they will lean towards the employee to offset the imbalance of power in the employee-employer relationship. As a result, employers may often be frustrated by what employees can get away with without being fired or what employees are entitled to if they are fired. But courts and arbitrators have limits and if an employee’s claim seems beyond common sense, employers should take comfort that decision-makers will protect their interests as well if an employee goes too far in trying to take advantage of the pro-employee leanings of employment law. Common law has established that when an employee says “I quit” under emotionally charged or other circumstances that might have affected the decision, the employer must take steps to ensure the employee meant it. This can involve a cooling off period or obtaining a written letter of resignation, but an employer can’t simply accept the resignation. But last year, a British Columbia mine employee tried to take advantage of this legal protection by trying to retract his resignation after he caused an accident in the mine. He tried to claim he was under duress from a drug addiction and a manic episode, but the fact was he hadn’t had any drugs in a week and there was no medical opinion of a mental illness. The resignation itself wasn’t spur-of-the-moment either, as it happened a week after the accident and after he had discussed it with his union. The arbitrator determined the employee made a clear-headed decision to resign, but regretted it later and tried to come up with an excuse to retract it. Employment law may go far to protect employees, but not to the point where they can retract a clear resignation simply because they regret it. I’ve also come across several cases where employees have tried to claim extra damages in wrongful dismissal suits because of undue stress caused by the employer in the course of dismissal or in constructive dismissal suits blaming excessive stress in the job caused by the employer. It’s become popular for employees to claim bad-faith damages, but courts will only go so far in considering them. Stress claims can be tricky, but courts recognize there are certain levels of stress inherent in the course of work and in termination of employment and they won’t award extra damages for stress caused by these circumstances. Here’s a thought: If employees can claim bad-faith damages for an employer’s actions, should an employer be able to claim damages for bad faith on the part of the employee for a blatantly frivolous damage claim? The financial imbalance between employer and employee makes it unlikely the employer would get something, but perhaps there should be some sort of sanction against employees who go too far and try to take advantage of the protections afforded them under employment law. The employment relationship involves some reliance by each side on the other for various things. The employer enters into it with the expectation the employee will perform the duties required of the position, not cause problems in the workplace and not do anything to harm the employer’s reputation. The employee expects to be paid, have a safe work environment and fair management. When an employment relationship is entered into, the employee must also usually provide some personal information, such as contact numbers, social insurance number, address and bank information. In providing this information, the employee expects the employer will guard it and not disclose it without consent. But where is the line as to what is personal employee information? What can an employer disclose in the context of its business? This question came up recently in Alberta when that province’s Office of the Information and Privacy Commissioner addressed a complaint from an employee who was suspended for a positive drug test at work. After the positive test result, the employer’s health and safety officer met with the employee and his foreman and informed the supervisor and general manager the employee was being suspended. The supervisor and general manager then told others who worked with the employee he would be absent from work. At no point did they say why. The adjudicator agreed that disclosing the fact the employee was suspended was reasonable because the people they disclosed the information to needed to know in the context of their jobs, but the adjudicator found the employer still didn’t have the authority to disclose the information because it hadn’t provided reasonable notification to the employee for consent. It’s understandable employees should be told and their consent requested if their personal information is going to be disclosed, but how far backwards does an employer have to bend? If the information is directly related to the job and certain people in the workplace need to know immediately, is it necessary? In the Alberta case above, there was nothing specific about why the employee wasn’t available nor any mention of the positive drug test; management just told individuals who were affected by the employee’s absence the minimum information they needed. Should things have been held up so the employee could be properly informed and asked for consent to disclose the information? Was the employee really harmed and his privacy violated by the disclosure of the fact he was absent? The adjudicator in the above case acknowledged that, when an employee fails a drug test and must be removed from his duties, the time frame can be short for the employer to make arrangements. But the adjudicator also ruled the employer should have formally notified the employee before those arrangements were made. Privacy is important in the employment relationship and personal employee information must be protected, but is the bar too high when it comes to defining what information should be protected when it can be an obstacle to the efficient running of the business? If this comes into play in the context of the workplace, it can open a can of worms. If an employer has an inkling it’s happening, it’s wise to act quickly and decisively to avoid liability, not to mention damage to productivity and employee engagement that can come from a poisoned work environment. The problem with sexual harassment is that, while certain aspects of it may seem obvious, like physical touching or malicious language, some of it can be subjective. If a workplace is casual and co-workers are comfortable with each other, there could be some good-natured teasing and verbal comments. But in another workplace, the same comments could be unwanted and their perception different. Human rights legislation offers similar definitions for harassment. For example, the Ontario Human Rights Code defines harassment as “engaging in a course of vexatious conduct or comment that is known or are reasonably to be known to be unwelcome.” But “reasonably to be known” can require some interpretation. Things can get murky if an employee seems to accept certain conduct, like sexual comments and teasing, but then suddenly files a complaint. If the accused is a supervisor or someone in a position of power over the complaining employee, it’s probably safe for an employer to take the position the accused should reasonably have known the behaviour was inappropriate, even if the complainant seemed to go along with it. However, if the employees are colleagues on even ground, how serious should the discipline be? Or should there be any? Let’s say some co-workers engage in sexually-charged conversations and talk about personal aspects of their lives. One honestly believes he’s engaging in friendly banter. The other participates but doesn’t let on she’s uncomfortable with it. If the second employee doesn’t indicate her discomfort and the first genuinely thinks things are fine, should he be disciplined if the second employee eventually does complain to the employer without asking him to stop first? There was a case earlier this year where a supervisor was fired for making sexual comments and sending texts to subordinate employees over several years. Though the employees sometimes participated before the complaint was filed, the arbitrator agreed the supervisor’s behaviour was “reprehensible” due to his position of power and the obvious inappropriateness of his actions, but reinstated him — albeit with a suspension and demotion — because the harassment “did not venture into the more egregious forms of sexual misconduct” and remained simply verbal. The employer saw a serious pattern of sexual harassment of younger, subordinate employees, but it turned out it wasn’t serious enough to terminate his employment, even though he couldn’t be trusted in his old job. So how does an employer handle a case of sexual harassment? Like many things, each situation depends on subjective factors and sometimes the solution isn’t always obvious. Jeffrey R. Smith is the editor of Canadian Employment Law Today, a publication that looks at workplace law from a business perspective. For more information, visit www.employmentlawtoday.com. Follow Canadian HR Reporter on Twitter at www.twitter.com/hrreporter and on Facebook at www.facebook.com/hrreporter. It’s happened elsewhere in the world, and now it’s happened in Canada: Someone was fired solely for work-related comments they posted on Facebook, and the dismissal was upheld by an arbitrator. Two employees at a British Columbia car dealership used their Facebook accounts as an outlet for their angry and combative sentiments towards their employer during a union drive earlier this year. They posted comments about stabbing and retaliation and referred to management at the dealership. Unfortunately for them, some of their managers and co-workers were connected with them on Facebook and saw all this vitriol. After monitoring the escalating comments, and seeing them develop into slurs and threats, management fired the two employees. Though the employees claimed the dismissals were an attempt at union-busting, the B.C. Labour Board said the comments contributed to a hostile work environment and were essentially airing the company’s dirty laundry in a public forum (one of the workers had 377 Facebook friends and the other had about 100, and all of them were able to see the comments). There have been cases elsewhere where Facebook has played a role in dismissals. A woman in Switzerland was fired when her employer saw she was on Facebook when she was supposed to be home sick because of sensitivity to light. Here in Canada, about three years ago, an Ottawa grocery store chain fired several employees because they admitted to misconduct at work in a Facebook group. A couple of years ago, an Alberta company fired an employee for harassing another employee, including comments made on Facebook. However, that employee was reinstated because it turned out he hadn’t written the comments or been responsible for the harassment. The difference between the most recent B.C. 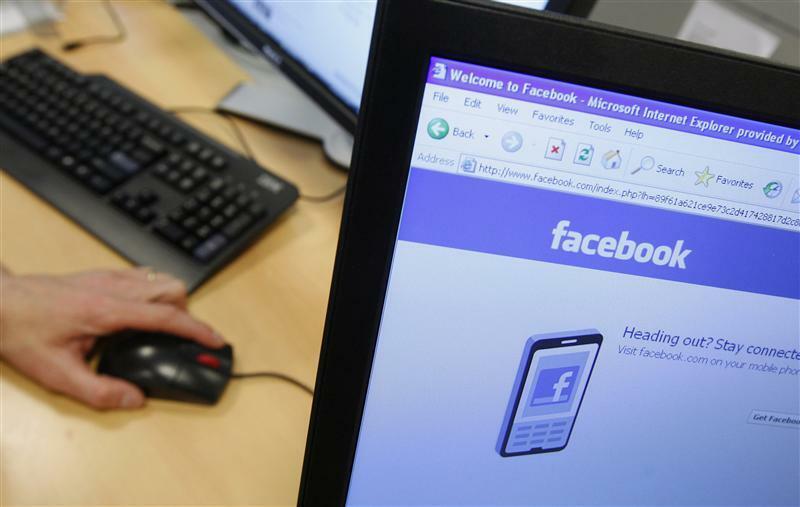 case and the earlier Canadian cases is the employees were fired solely for their activities on Facebook, while the earlier cases were for actual misconduct at work that came to light through the social networking site. Is this likely to open the door to employers to be able justify discipline or dismissal with things employees post online outside of work on their own time? In the B.C. case, the comments the employees posted on Facebook were written off-site on their personal time, but their effects carried into the workplace. In a 24-7 wired world, it looks like worksite and work hours may not matter as much when it comes to employee misconduct, but rather just the overall effect on the workplace and the employer. The bar for just cause dismissal is high — that’s one thing employers can always count on in the realm of employment law. Termination of employment is also hard to do even if the employee is unable to do her job anymore. If the reason is because of a disability, the employer is obligated to try to accommodate to the point of undue hardship, which can be more extensive than the employer realizes, to avoid an accusation of discrimination. But what if the employee can’t do her job for a non-discriminatory reason, but it isn’t the fault of either the employee or the employer? 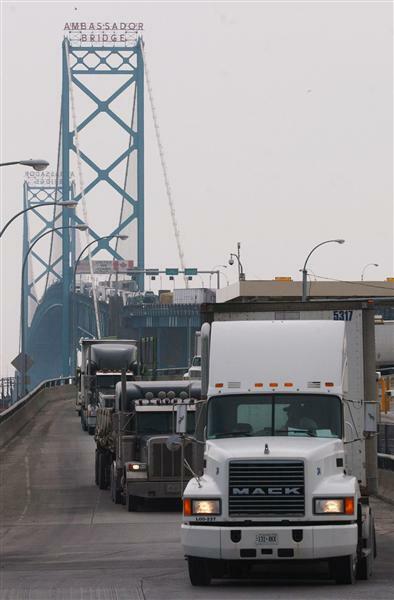 An Ontario trucking company was recently faced with this problem when one of its drivers was barred from entering the United States. He was a long-haul driver who was hired specifically to drive trucks to the U.S. and it wasn’t feasible to give him a temporary route within Canada because none were available. With no work he could do, the company laid him off until he could sort out his border issues. However, the driver refused a temporary layoff because it was going to take months to resolve the border issues. The driver’s problems stemmed from criminal convictions decades earlier for which he had been pardoned. He hadn’t had any problems crossing the border before, and didn’t expect any because of the pardon. He was caught completely off-guard, but the company didn’t have much choice but to let him go for cause because there was no way it could accommodate him. However, an arbitration board found that, despite the fact there was just cause for dismissal because of a legitimate frustration of the employment contract, the company was obligated to give the driver pay in lieu of notice. The driver had no culpability in the frustration of the contract because he had no control over the actions of the U.S. customs agency. So, despite the fact the employer was right in its ability to terminate him for frustration of contract, it was still had to give him notice as if there was no cause for dismissal. It just goes to show that the bar for just cause can be so high, employees could be entitled to notice even when there is what would normally be considered just cause for dismissal where the employment contract is frustrated.